Since past many years, the region and the trail has been able to maintain its raw beauty accompanied by virginity and tranquility of the place. The gushing streams, pristine glaciers and splendid landscape adds charm to the beauty of this already beautiful place. 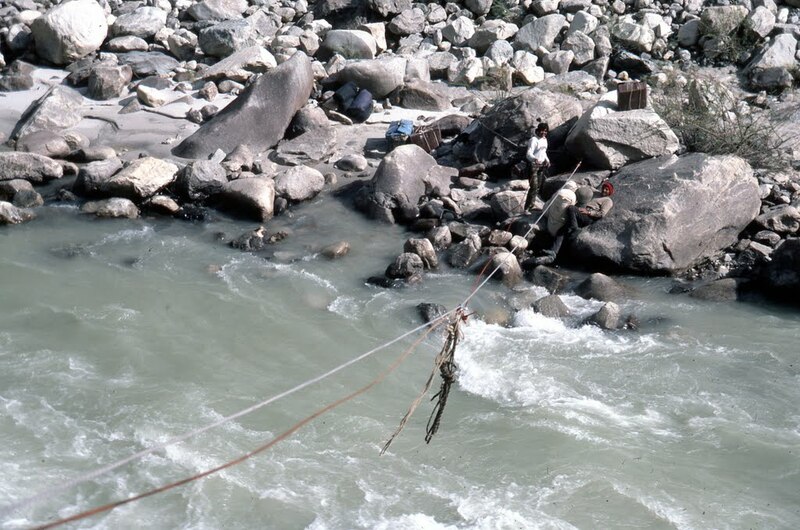 Regarded as one of the most strenuous and difficult trek of north Uttarakhand, the route of Jadh Ganga Trek was taken by Heinrich Harrer and his companions during May 1944 while escaping the prison in Dehradun. They traversed the Aglar valley followed by going over Nag Tibba ridge, they ultimately arrived at Nelang in Jadh Ganga. From there on, they proceeded further towards Naga, Sonam, Dosindhu, TIrpani and finally Pulamsunda. They, then ascended upwards along the first tributary of Jadh, the Mendi, to reach Tsangchok La, which they crossed seven after leaving Dehradun. Another kind of adventure awaits you if you decide to go further towards Mana Pass and Saraswati Tal and finally terminating the trek at Badrinath Temple. Tiring yet exhilarating, the trek is an experience you will cherish throughout your life.